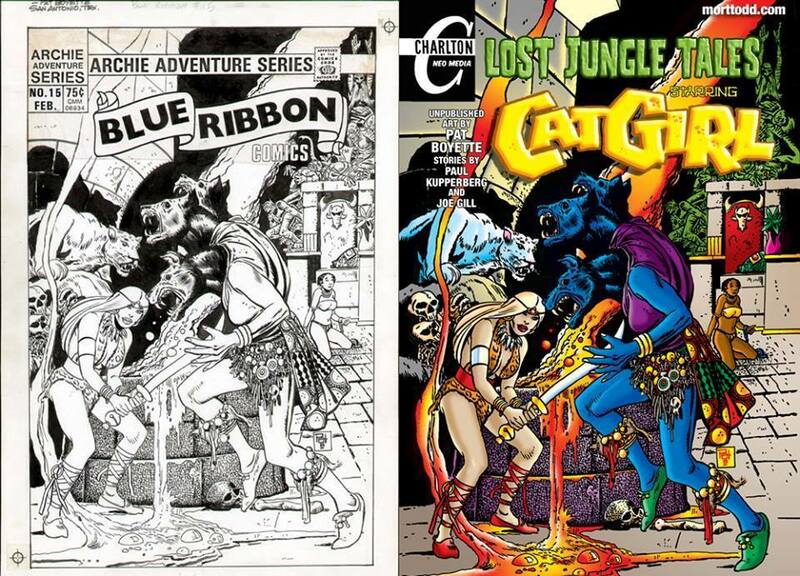 In the 1980s, comic book superstar Paul Kupperberg first joined forces with the legendary Pat Boyette to bring a Silver Age heroine back to four-color life in the Catgirl story, “The Black Queen.” But, it has taken this lost tale over three decades to finally see print thanks to Charlton Neo Comics. According to Kupperberg, the origin of this lost tale begins with a computer – or rather stories about them: “In 1982, I had written a custom comic book for DC Comics entitled Superman in “The Computer Crimes of Metropolis.” The 30-page story co-starred Alec and Shanna, ‘The TRS-80 Computer Whiz Kids,’ a pair of middle schoolers who help the heroes crack crimes being committed by Lex Luthor with their Radio Shack desktop computer. ‘The Computer Crimes of Metropolis’ (with art by Curt Swan and Frank Chiaramonte) was DC’s third (I believe) and final licensed comic with the Tandy Corporation. The following year, Archie Comics picked up the contract with Tandy and, as I was the last man to write the comic for DC, Archie editor Victor Gorelick called me in do the same for them. “While I was busy toiling away on the Whiz Kids,” added Kupperberg, “Archie Comics was also trying to get its new Red Circle superhero line of comics off the ground (circa 1983-1985), starring revivals of such Golden Age heroes as Black Hood, The Fly, The Shield, and others. Despite some good stories and great art (including Neal Adams, Alex Toth, Gray Morrow, Steve Ditko, Rich Buckler, and others), the Red Circle line would never quite find its footing and quietly disappeared from the racks. “But before it did, and since I was in the neighborhood, Victor assigned me to write a story for the 15th issue of Red Circle’s Blue Ribbon Comics, an ongoing showcase title to test new concepts. The feature was Catgirl, based on a minor character from an earlier, 1960s-era attempt at an Archie Comics superhero revival. First appearing in The Adventures of the Fly #9 (November 1960), the Catgirl was Lydia Fellin, an immortal who defends animals from humanity. But, although everything seemed greenlighted for the story to see publication, fate had other ideas. Boyette, for those that don’t know, was the artist of Charlton’s Peacemaker and The Phantom, and a short but memorable run on DC’s Blackhawks. Although the issue never saw print, Gorelick sent Kupperberg a set of reduced Xerox copies of the story and its cover. 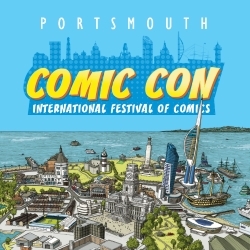 Besides bringing this long, lost tale to print via a Kickstarter campaign, Kupperberg is also working on a memoir and a young adult novel, as well as Paul Kupperberg’s Guide to Writing Comics from Charlton Neo Comics (morttodd.com). He is also writing two new online series for Archie Comics, The Golden Pelican and Rogue State, his mystery novel set in the comic book industry of 1952, The Same Old Story, and short story collection, In My Shorts. All are available on Amazon or from Crazy8Press.com. He’s also on Facebook and Twitter, as well as at PaulKupperberg.com.